Surface Preparationconsists of primary surface preparation and secondary surface preparation. The primary surface preparation aims to remove mill scale, rust, corrosion products, and foreign matter from a steel surface prior to application of a shop primer or primer. Blast Cleaningis based on the principle of an abrasive jet of particles in a compressed air stream impinging on the surface, removing impurities, mill scale, rust and old paint. Abrasive blast cleaning is the most thorough and widely used method of surface preparation in the shipbuilding and repair industry. Different degrees of surface cleanliness are possible and depend in part on the surface condition prior to treatment and also to the length of time for which the surface is exposed to the abrasive jet. In addition to cleaning the surface, the abrasive particles will impart a surface roughness to the steel. Spot blastingis localized abrasive cleaning often carried out in ship repair, especially on the outside hull, where patchy corrosion or damage has occurred. It can be used to yield surfaces that are cleaned to Sa 2 or better but often surrounding intact areas are peppered with stray grit. Water Jetting or Hydro Blastingas a surface preparation technique is being used more and more in shipyards. A major advantage of using water pressure as an abrasive is the lower impact on environment and health because less dust is generated than is the case with grit blasting. It also constitutes less of a safety risk caused by sparks and reduces the amount of salt remaining on the surface. As with blast cleaning, prior to hydro blasting, water insoluble foreign matter such as oil and grease must be removed. Sweep Blastingis the treatment of a surface by quickly passing a jet of abrasive across the surface. It is typically used as a tool to get some surface roughness on an existing, firm adhering coating in order to facilitate inter coat adhesion. The level of effectiveness depends on the skill of the operator, the type of surface and particle size of abrasive. 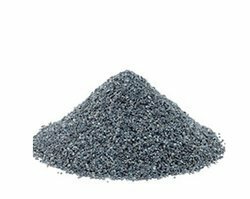 In general, a fine grade of abrasive (0,2-0,5 mm) is recommended as larger particle sizes would destroy the existing coating too much. 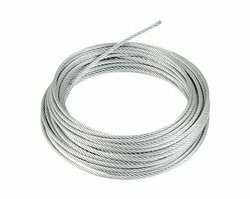 In accordance with forwarding market improvements, we are serving a broad variety of Pendulous Wire Rope. The extended stocks are accessible in diverse sizes to meet the necessities of the consumers. 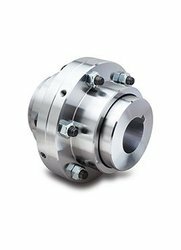 In accordance with forwarding market improvements, we are serving a broad variety of couplings such as Flexible Gear Coupling, Roller Chain Flexing Coupling, Torque Sockets, Special Sockets, Spacer Type Gear Coupling, Coupling for Diesel Generators and Pumps, Coupling for Cranes, Coupling for Steel & Power Generation industries, Coupling for Cone Crusher. With a deep manufacturer's experience of nearly two decades, we have gained an audible position in the market as a leading wholesaler, trader, and shippers of a various series of product. Our stock series includes Cleaning & Finishing and some other commodities such as Iron & Steel Grits and Shots. We should all have left for Micro Corrugation readily available. 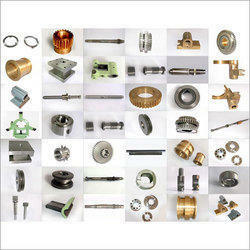 Blades of different size or stipulation can be made and provided to order or sample. Generous connect us, we will be satisfied to send you our catalog with detailed information of all item for slotting machines. We, Imperial world Trade have manufacturer Of Turning machine spare parts, we can supply all type of Turing machine parts like light duty Turning machine, medium duty Turning machine, heavy duty Turning machine. 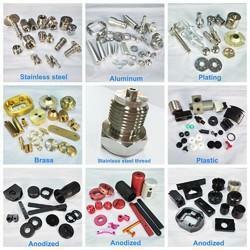 Looking for Abrasive & Surface Preparation Materials ?